I read this article and found it very interesting, thought it might be something for you. The article is called Union stalwart and socialist feminist Steve Hoffman runs for U.S. Senate and is located at https://votesocialism.com/union-stalwart-and-socialist-feminist-steve-hoffman-runs-for-u-s-senate/. Washington state is as blue as blue can be, despite Republicans’ best efforts. And if anyone is typical of the pro-business Democrats that run things for the benefit of Boeing, Amazon, Microsoft, and developers, it is U.S. Senator and multimillionaire Maria Cantwell. In office now for 17 years, it’s high time Cantwell had a working-class challenger. This year, she will have just that in the person of staunch unionist and Freedom Socialist Party (FSP) candidate Steve Hoffman, whose campaign debuts with a signature-gathering drive starting in January and a launch party in February. A tale of two candidates. Multimillionaire Maria Cantwell began her political career in the mid-1980s. A committed advocate of free trade, she lost a seat in the House of Representatives in 1995 after one term, during which she voted for NAFTA. After a stint as a senior vice president of RealNetworks, a tech company based in Seattle, she was elected to the Senate in 2000. She is an über-promoter of fracking and Zionist Israel. She said “aye” to reauthorizing the Patriot Act in 2006 and “nay” to closing Guantánamo Bay prison. On the other hand, Steve Hoffman is a state employee who maintains the electrical, heating, and air conditioning systems at North Seattle College. 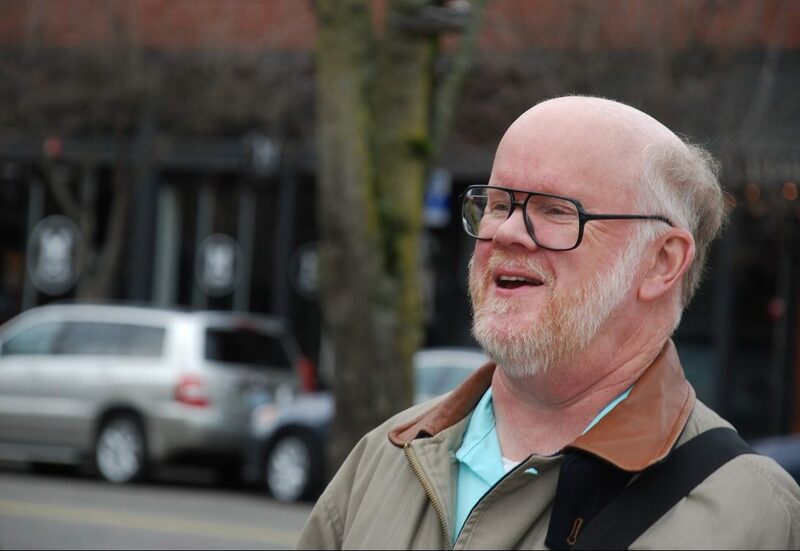 He is a shop steward and the recording secretary for his union, Washington Federation of State Employees Local 304, which he represents on the Martin Luther King County Labor Council. Hoffman also belongs to Organized Workers for Labor Solidarity and the Coalition of Black Trade Unionists. A terrific fighter for labor issues, Hoffman is more than that. After a six-year tour in a Navy submarine, he became an anti-war activist and then a revolutionary socialist. Today he serves on FSP’s elected National Committee. And these are just some examples of his political engagement. The goal of his campaign is to raise issues that neither Democrats nor Republicans will touch, like ending U.S. imperialist wars, nationalizing the energy industry and banks under workers’ control, and redistributing wealth — reversing its current upward flow from ordinary people to the rich. A white male feminist, Hoffman will also champion things like elected civilian review boards nationally to curb police abuse and free, universal healthcare and childcare. Hoffman wants to hear what voters all over the state think about these ideas while learning their own thoughts about making life better for the 99 percent. The campaign also aims to challenge the straitjacket of the electoral system that gives voters only two corporate parties to choose from and will promote the concept of an independent labor party that takes on the profit system. And Hoffman will talk about socialism as the solution for the mess of problems facing workers and the poor, especially women, people of color, LGBTQ folks, and immigrants. Lift-off in January and February. The campaign’s sights are set on the Washington primary election in August. One of the first orders of business is stirring up community support in the form of signatures on petitions to get Hoffman on the ballot. This is to avoid having to pay a restrictive $1,740 filing fee. Backers of FSP’s candidate were out in force to talk up the campaign and gather signatures during celebrations of Martin Luther King Jr. Day and demonstrations marking the one-year anniversary of the worldwide women’s marches. Next up is the hosting of a bound-to-be-rowdy campaign launch party in February and the creation of a dedicated website. For now, you can follow the blossoming campaign at socialism.com, where news of activities will be posted as soon as plans are developed. But you don’t have to wait to get involved. If you live in the Seattle area, stop by headquarters at New Freeway Hall in Columbia City, 5018 Rainier Ave. South. We need volunteers for every aspect of this endeavor, from outreach and research to fundraising. Whether you live near or far, you can help. Call 206-722-2453 or email VoteSocialism@gmail.com to find out more.